As director of Health Equity at CHRISTUS Health, Tiffany M. Capeles is responsible for establishing and advancing the Health Equity strategy of CHRISTUS Health by working across the organization to ensure initiatives, resources and tools are effectively leveraged. She is particularly skilled at driving business results, as well as establishing processes to promote a diverse workforce and advance the health and well-being of vulnerable communities that align and support population health and other organizational goals. A positive patient experience is heavily driven by highly engaged employees at an organization, and she works to ensure that CHRISTUS leadership mirrors the communities served. 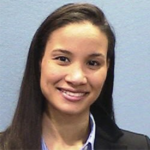 Tiffany also has knowledge in navigating the complex challenges of connecting the IT infrastructure for a multisite health system with different EMR platforms, to enable data collection, analytics, and reporting. This has positioned CHRISTUS Health to begin setting metrics on Equity of Care initiatives. She leads the implementation of innovative system changes that promote community health, reduce health inequities, and improve patient outcomes. Prior to CHRISTUS, Tiffany served as the program director for the Health and Wellness Alliance at Children’s Health in Dallas, Texas. There she led a collective impact initiative that brought together more than 60 community leaders to ensure that every child with asthma achieves their fullest health, well-being, and potential. Her work in guiding this coalition resulted in long-term successes for both the community as well as the children themselves. As a result of the community collaborative, Dallas Housing Authority is now smoke-free, and the city’s decade-old housing policy was revised to require landlords to maintain properties in alignment with the National Center for Health Housing standards, as well as training city code compliance officers to issue violations for potential health concerns, not just safety concerns. Before her time in Texas, Tiffany served as a consultant at the Center for Health Equity & Wellness at Adventist HealthCare in Gaithersburg, Md. Throughout her tenure with the Center, she advised hospitals’ leadership and served as a pioneer in helping hospitals achieve health equity through the establishment of culturally and linguistically appropriate programs, services, and policy for underserved populations. Her portfolio of work also includes concerted efforts in enhancing organizational cultural competence through the development of lectures and e-learning modules for clinical and non-clinical personnel, as well as conducting organizational cultural competency assessments, developing organizational strategic plans to achieve health equity, and mobilizing internal and external coalitions across domains to address the social determinants of health. Tiffany’s work has received attention from healthcare systems both nationally and internationally and has been presented at numerous national conferences and webinars. Additionally, Tiffany led a collaborative partnership with the National Diversity Program Office of Kaiser Permanente to redevelop their Qualified Bilingual Staff (QBS) Model for adoption in acute care settings, and then piloted it at Adventist HealthCare. Success and recognition of the revised program resulted in Adventist HealthCare training more than 800 bilingual healthcare professionals on proper medical interpretation in 10 languages, both internally and externally, in the community. These efforts ultimately led to Adventist HealthCare’s designation as the state model for training bilingual dual-role health care professionals, by the Maryland Hospital Association. Tiffany then later led the effort to launch the first QBS Train-the-Trainer for Maryland hospitals statewide. Her passion for population health is sincere and evident as she continues to help communities realize health equity, improve access to care, and ultimately improve the health of her community. Tiffany earned her Master of Business Administration in finance at Hood College in Frederick, Md., and her Bachelor of Science in health care administration from Kent State University in Kent, Ohio. She currently resides in Richardson, Texas, with her husband and two adored, highly spirited little girls. Her interests include health policy, teen mentoring and camping.